One in eight women will be diagnosed with some form of breast cancer. 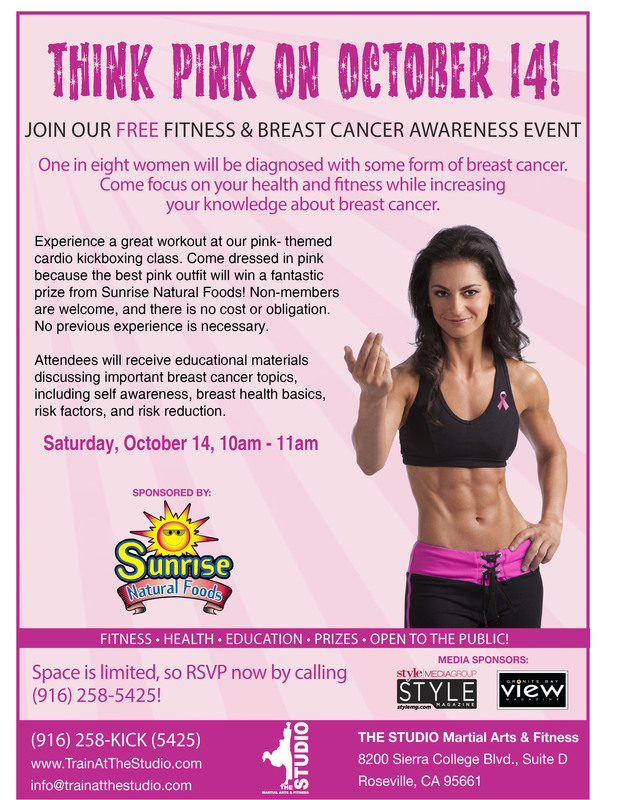 On Saturday, October 14 at 10am, come focus on your health and fitness while increasing your knowledge about breast cancer. You’ll experience a great workout at our free pink-themed cardio kickboxing class. Come dressed in pink, because the best pink outfit will win a fantastic prize from Sunrise Natural Foods! Non‑members are welcome, so bring your friends and family. There is no cost or obligation. No previous experience is necessary. Please see the flyer below for more details. Space is limited, so RSVP now by calling (916) 258-5425 or replying to this email.